With more than 3,000 miles of navigable whitewater, it’s no wonder that Idaho is home to the extreme whitewater competition known as the North Fork Championship. It’s an extreme kayak race held on the North Fork of the Payette River some 40 miles or so north of Boise. Not only does this event bring in serious kayakers from around the world who can’t wait to participate, but it also brings in plenty of tourists who help make the race and the related “Whitewater Festival” the place to be in Idaho each June. This year, on June 14th, you’ll want to visit Kelly’s Whitewater Park for the community paddle and movie in Cascade. This event, which starts at 6:30pm, is a way for anyone who wants to paddle with the athletes without having the challenge of Class V rapids. In other words, you can hang out with the kayakers for fun. On June 16th, two miles north of Banks, there’s the Expert Division Qualifier at 10:30am. It’s the first kayak event of the competition. Athletes have to paddle through rapids named Juicer and Crunch. On June 17th, it’s the BoaterX Race at the Big Eddy Campground along Highway 55. The fun kicks off about 3pm as spectators watch six riders try and make it through the S-Turn rapid. Also on June 17th (as well as the 18th) head over to Weilmunster Park in Crouch for the Whitewater Festival where you’ll find food, drinks, music and outdoor games. The final day of the North Fork Championship is June 18th. At 1pm, you’ll want to be at Mile Post 86 on Highway 55 for the Elite Division race. 30 athletes will compete on Jacob’s Ladder, the fiercest rapid on the North Fork. After this race, there’ll be the “Stoke Float” event as well as an awards ceremony at 6pm in Weilmunster Park. Below is a video from the 2016 championships. Looking for a friendly, affordable place to stay in this part of Idaho? 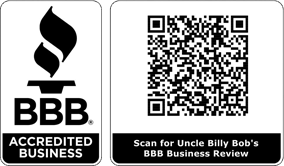 Call Uncle Billy Bob’s at 208-462-5BOB? NORTH FORK CHAMPIONSHIP V from The North Fork Championship on Vimeo.